Are you looking for a reliable Brisbane plumber? Then we’re here to help. As one of Brisbane’s leading plumbers with a reputation for quality workmanship and affordable prices, we’re a name you can trust. We totally understand that when you find yourself without hot water, your toilet won’t flush, or your drains are blocked, you need it fixed as quickly as possible, whatever the time of the day or night and regardless of whether it’s a weekday or a weekend. We have a large team of experienced, friendly plumbers and gas fitters working around the clock so that our Brisbane customers don’t have to suffer the inconvenience of a cold shower or the smell of a blocked drain, for any longer than necessary. Our trusty emergency plumbers can quickly diagnose the problem; and since their vans are fully stocked with hundreds of spare parts and replacement components for most of the top brand names, more often than not the repair can be carried out then and there. You can trust our technicians to get the job done right the first time. Rather than masking the problem, as some companies do, they’ll find out exactly what’s causing the issue so that once it’s fixed, there’s little chance of it happening again. They’ll use their years of experience and extensive knowledge to deliver a professional, high-quality job at any time of the day, no matter how challenging the problem. Call 1300 740 206 now. Before commencing any work, we’ll always supply you with an estimated competitive price for the job. Having built up many excellent supplier relationships over the years allows us to buy parts and materials at the best prices, you’re always assured of top quality parts and first-rate results, at affordable prices. Brisbane Plumbing and Drainage is family owned and 100% Australian. 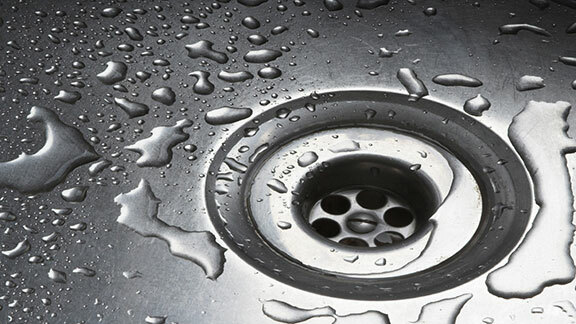 Our team of licensed plumbers are experienced and knowledgeable, with a passion for doing their job and doing it well. You can trust our plumbers to work to the highest standards. We understand that people lead busy lives and that time is important which is why we’ll always answer your calls promptly, arrive at scheduled times, and give clear and fair quotes, with no hidden costs – and as you might expect all of our work is guaranteed for extra peace of mind. Whether you’re renovating your kitchen or your bathroom or mopping up the aftermath of a burst pipe we know just how stressful plumbing or drainage tasks and emergencies can be. We’ve all been there so we know what you’re going through. Our technicians do all they can to take away any stresses and hassle so that you can get on with more enjoyable things. They’ll treat your home as if it were their own, and leave it clean, neat, and tidy. Many of our customers even joke that their house is cleaner after our visits than it was before! Your safety is of the utmost importance so should our technicians spot an issue or a potential future problem, they’ll let you know that it needs to be looked at, whether that involves a builder, plumber, gas fitter, or electrician. At Brisbane Plumbing and Drainage we don’t leave anything to chance. Got a plumbing, hot water, or heating problem? We’ve got you covered. Our plumbing team can help with a full range of Brisbane residential, commercial and industrial plumbing services. Call us anytime on 1300 740 206 – We’re always here for you or book online today - Plumber Booking.